Let me review a nice bathing bar today that comes from wonderful product range of Ethicare Remedies. 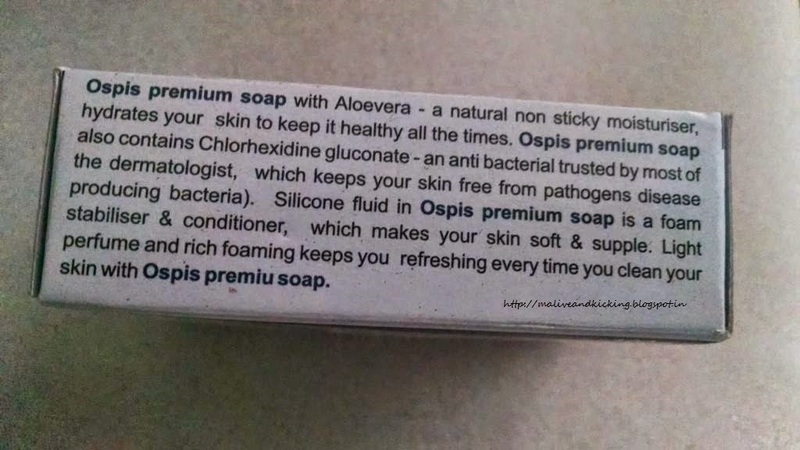 The Ospis Skin Care Soap that cleanse your skin and keeps it free of harmful bacteria with its anti-bacterial ingredients. 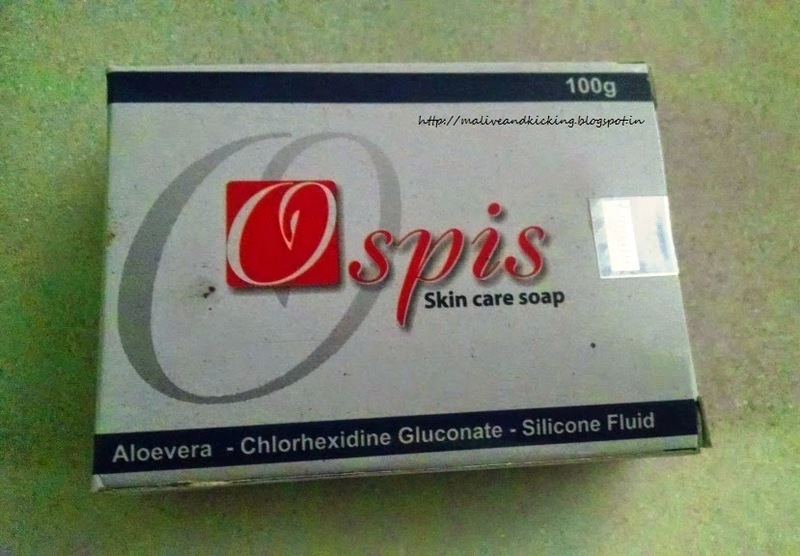 Ospis premium soap with Aloevera - a natural non- sticky moisturizer, hydrates your skin to keep it healthy all the times. It contains chlorehexidine gluconate, an anti-bacterial cleanser which keeps skin free from pathogen diseases. The Silicon fluid is a foam stabilizer & conditioner to make the skin soft and supple. Light perfume and rich foam keeps you refreshing every time. Ingredients: Chlorehexidine Gluconate, Aloevera, Silicon fluid, Glycerine and perfume. 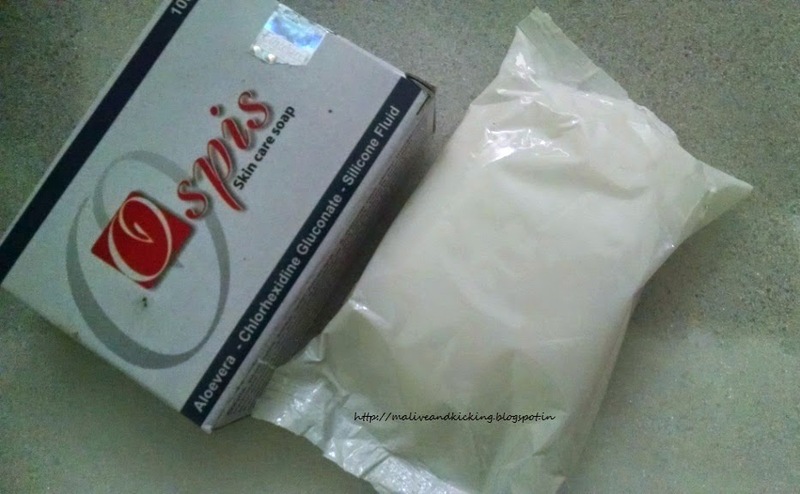 The package contains 1 Ospis Skin Care Soap in a cardboard box. The box has product info printed on either side with detailed ingredients as well as product claims. 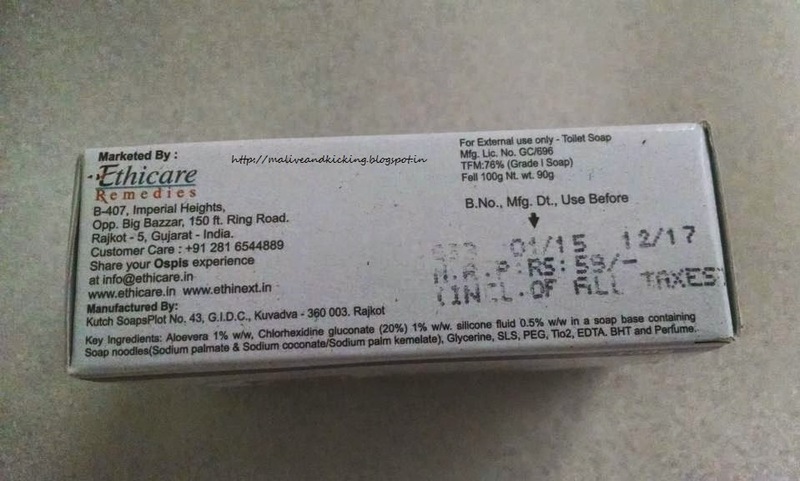 The soap itself is sealed in a white polythene sheet pack. As I just mentioned that the soap is sealed in white sheet, so I curiously opened the pack to have the first look. The first sniff of the soap on opening the pack was a familiar scent that took me years back. I could somehow relate the soothing, light scent of Ospis to traditional Johnson n Johnson soap. Its a oval shaped white soap bar and I find this shape better than rectangular or square shape because it easily fits in my palm and doesn't slip easily. The soap has the brand name incised on it. The soap lathers reasonably well and feels creamy on skin. Infact I never judge the effectiveness of a soap bar with the quantity of lather it produces. Its refreshing fragrance stays on body for very less time. It would be a plus for people allergic to strong scents. The soap washes off easily with splashes of water and doesn't leave any stretchy dry feel on the skin post application. People with normal skin won't need to serve the body with body lotion as the Aloe Vera effectively moisturizes the skin. But I recommend dry skin beauties to use a light-weight body butter or lotion after shower. Can be used by Men & Women both. Goodness of Aloe Vera and Glycerine. Causes no dry or stretchy feel. Affordable than other similar products. Seems to be such an awesome soap at reasonable price ! yes, its a gud one to try. I have used the Ethicare Remedies product and I love them. Good soap plus point is suits to all skin. i'm also finding their products useful and effective. 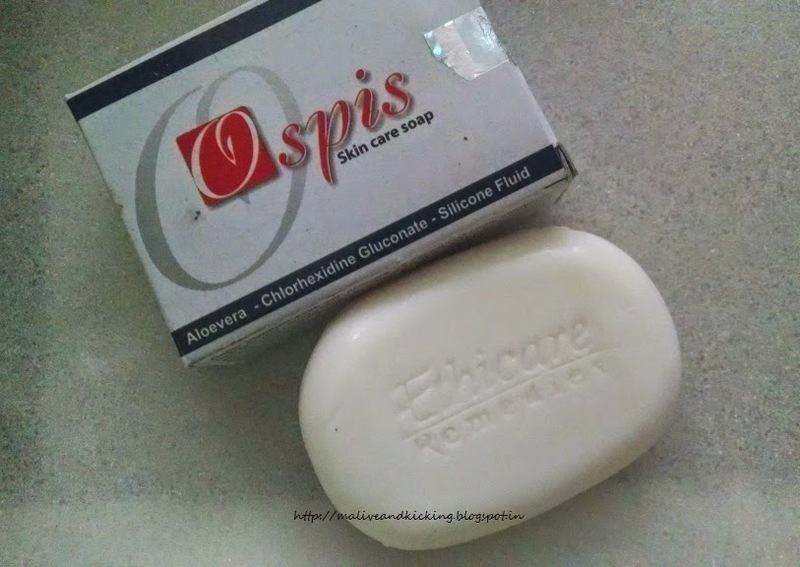 The minute I saw this Ethicare Remedies Ospis Skin Care soap it looked like Dove & Nivea soap to me. And after reading your review it also looks like it is almost similar to them when compared to everything like the size, fragrance, qualities like moisturising & suits all skin types but at an affordable price which sounds even nice. The shape is indeed an advantage when it comes to handle the soap & even to place it in a soap dish it would be easy. It also comes in a polythene sheet cover inside the box which is also nice to know when it comes to hygienic point. So overall the soap looks good & would love to give it a try. I have heard a lot about the brand ethicare but haven't tried the products yet, you have nicely reviewed this product and I like its name 'Osppis' very catchy since its a anti bacterial soap I think its must for this summer ! Will soon get my hands on this awesome soap . I love the Ethicare Remedies , they are really very awesome. use and tested love it and sure this will also be best like other products.